What conversations are you not having, that if you did, would make the greatest positive difference? What would make it possible to have those conversations in ways that enhance relationships and create needed results? 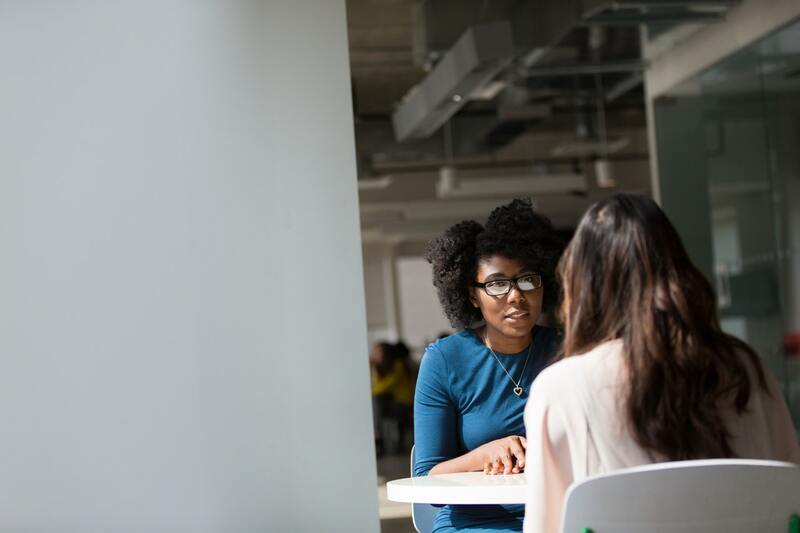 I propose it might be time to stop using the label “difficult conversations.” I think that what we really mean is that there is difficult information to address and we are setting an expectation that the interaction will also be difficult. What if we could prepare for and engage in life-affirming ways on challenging topics? It’s true that the experience of a conversation can become difficult and get derailed. Often that’s because we’ve already set that expectation so we enter the conversation in “difficulty” mode. What if we separated the experience of the conversation from the content of the conversation and then set about preparing for constructive experiences on difficult content? Human beings are fully equipped to have constructive, life-affirming conversations. And by “equipped” I also mean we have the ability to learn how to have constructive conversations, even if that hasn’t been our habit. Chief among these abilities is engaging the executive function of the brain that allows us to choose our response and contribution to any interaction. This is essential when we know we’ll be talking about challenging issues because we can use our brain-based abilities to be caring and clear about what might be hard to face. From this place of intention, we are able to turn to each other instead of on each other to explore difficulties in co-creative ways. 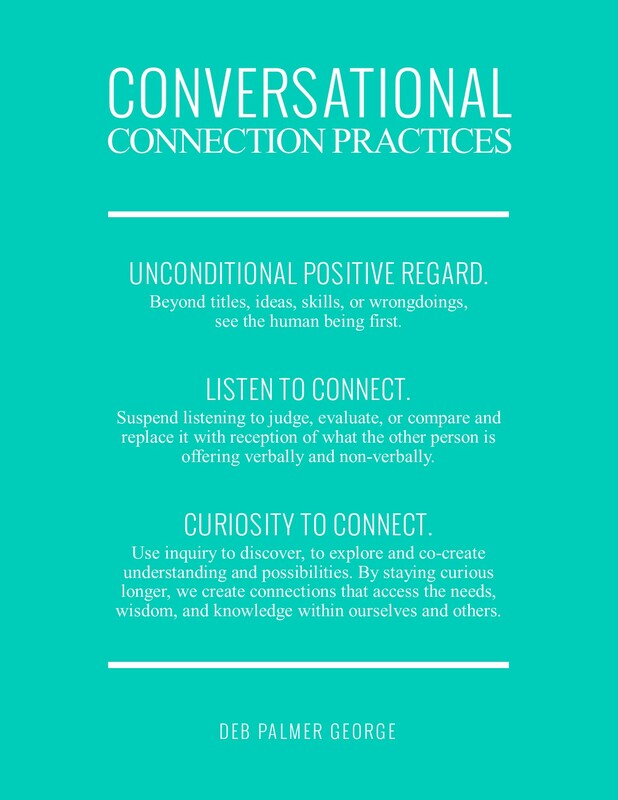 Here are 3 practices that help foster conversational connection – turning to each other for interactions that enhance relationships and build results. 1) Unconditional positive regard. Beyond titles, ideas, skills, or wrongdoings, see the human being first. Just like me this person seeks safety and belonging. This person has known difficulty and is learning about life, just like me. 2) Listen to connect. Suspend listening to judge, evaluate, or compare and replace it with reception of what the other person is offering verbally and non-verbally. Just like me this person seeks to be seen, to be heard, to contribute. What is lively within me as I receive what is lively within them? 3) Curiosity to connect. Use inquiry to discover, to explore and co-create understanding and possibilities. By staying curious longer, we create connections that access the needs, wisdom, and knowledge within ourselves and others. Just like me this person has needs, memories, hopes and fears. What question could I ask to heighten understanding or generate possibilities? We live in the world our conversations create. What conversations could have the greatest impact on creating the future you want most for your team or organization?